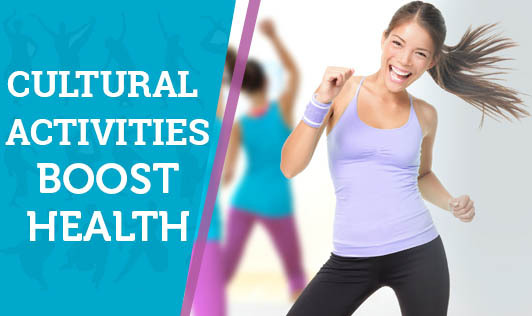 A study done in Norway has shown that participating in cultural activities is good for your health. Researchers conducted a survey on 50000 participants and concluded that active participation in theater, art show, etc., or passively enjoying them helps to improve health. The study also says that such activities are related to better satisfaction with life, lower levels of anxiety and depression. So, utilize some of your weekends to either watch a play, or attend a music/ art/ dance/ cookery show. Better still; get yourself involved in any of the cultural groups which interest you. This might help to bring out your hidden talent, too!